They are good people at Dozier law firm. Every time I call and talk to Rainey Andreson she helps me and answers all my questions. If you have been injured on the job, it is important to consult with an experienced Georgia workers' compensation lawyer. We can inform you of your rights, and handle all of the legal details involved in workers' comp claims and appeals. We stand up for victims of nursing home abuse and neglect from the Macon area. We understand how difficult it is to find out your loved one has suffered in this way. 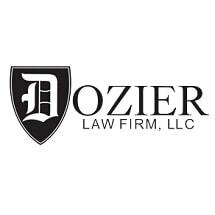 At Dozier Law, we handle a wide range of premises liability and slip-and-fall accident cases for clients from the Macon area and throughout Georgia. We have the skill and experience to handle the most difficult and complex personal injury lawsuits.